In the world of music, it is extremely common for children and teens to quit playing music. 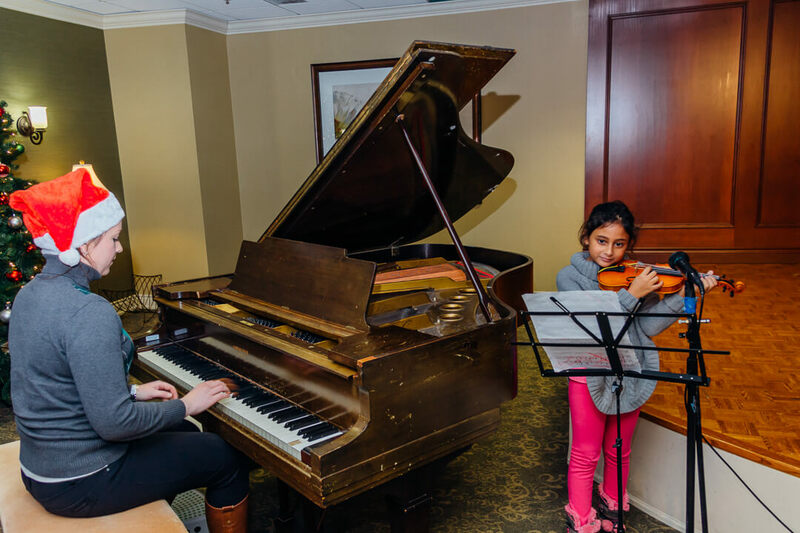 Whether they play the piano, trumpet or flute, practice requires a great deal of time. To do well, students often must sacrifice other activities in the process. In a two-part blog, we’d like to talk about why students quit playing music first. In our follow-up, we will discuss how parents, and students too, can better balance their lives and keep music as a part of it. Not only does playing an instrument take up a lot of time, but it also requires money. Like your child’s soccer cleats or tennis racquet, and instrument costs money along with the lessons required to learn how to play. Often with parents the issue of cost is not a problem, but rather the cost of ALL the activities the child participates in. If your child is in 3 or more activities, the money spent quickly adds up. Not so much music lessons, but rather the time spent at home practicing, requires a great deal of time on the part of the student. Most of my students practice every day, and also take a lesson once a week (if not more). Not unlike other activities such as sports, the time spent is directly related to the success seen. But for many, the time required to progress cannot be found in their busy schedules. Once a student has got it in their head that they do not care to spend the time put in to do well, many begin to feel as though practice is a chore. It is no longer fun, and they begin to dread that 30 minutes or hour. This becomes a problem with parents as well, who now have to prod and push their children to sit down and focus. Most parents do not like to fight with their children, and want to see them motivated about the activities they do. At this point, the parent also gives up, and lets the child quit. As mentioned earlier, most children play sports and music, belong to clubs or in their teen years also have jobs. When you add up all these activities, some students (and parents) find that they are being spread way too thin. Students show up late, put in a lack-luster effort, and are not driven to do well. This can create grades to drop, and parents to start re-thinking the type and number of activities their children are in. Not always, but sometimes this means doing away with music. With both adults and children, often expectations and actual results in playing music differ greatly. It takes a great deal of practice and time to play a complicated piece, and many students will give up before they’ve really even given it a chance. It can certainly take talent to become a virtuoso, but to be a skilled and proficient musician often only takes time and commitment. With younger students, they often compare themselves to other students, and become discouraged when they are not progressing as quickly. Adults, on the other hand, often compare their own successes to only themselves, but often have grandiose dreams of playing music for a living. This is of course not an unattainable goal, but it is one that requires a great deal of perseverance. Having the skill and/or talent alone won’t get you there. This is pretty plain and simple. Learning any musical instrument is not easy. Some students thrive on the challenge, while others shy away. A student has to be able to accept failure when learning, and revel in small successes. In and of itself, this is a beneficial skill learned by musicians. But if they can’t persist and get over the first few hurdles, many will simply give in and give up. Going back to younger students, many compare themselves to their peers, as often this group of people is with them wherever they go. In school, sports and then music, students are constantly being graded and judged. Of course, as teachers or coaches, we grade and judge to keep track of students’ progress. But often times a student can feel as though they are not as good as some of their peers. In music, a student who puts in a lot of practice time at home may not be able to play the more complicated piece that his friend can who practices less. This can be due to a variety of things, but unfortunately it is often just seen as lacking in talent. Because of this, a child or parent may then decide that little Johnny’s efforts and time might be better spent playing baseball, or competing on a debate team. Our list of reasons why students (both young and older) quit music is not exhaustive, but can give you an idea of what goes on inside the heads of struggling musicians. Knowing deep down why you or your child wants to quit music is the first step in deciding if playing an instrument is right for you, and what things you can do if you decide to stay committed. This struggle will go one of two ways, and in most teachers’ eyes, we would like students to keep at it. In our next blog, we will talk about what students and parents can do to stay positive and help themselves or their children to make choosing music easier and fun!